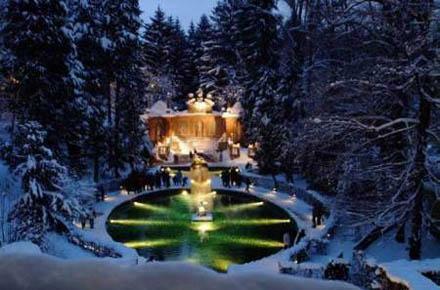 On December 24th, 1818 was the beginning of the unique success story of a song: “Silent night, holy night” This tour to the birth place of the most famous Christmas carol in Oberndorf near Salzburg is combined with Advent at Hellbrunn Palace and Gardens. The Palace of Hellbrunn was once residence of a Prince Archbishop and is now the very adequate noble location to get in a nice mood for Christmas. Salzkammergut around lake Wolfgangsee is one of Austria’s most beautiful areas. 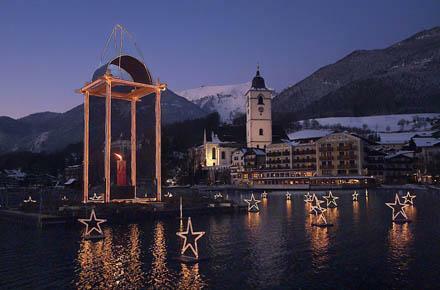 In Advent the main villages St. Gilgen, Strobl and St. Wolfgang – linked by the quiet lake – transmute into an unforgettable world of candles, lights, smells and delicacies.